in my last article i wrote about how to create jamb profile, if you are not clear on how to create a jamb profile click here now. jamb recently introduced a more user friendly way to create a jamb profile using an SMS option which involves you sending a short message to jamb via 55019. But unfortunately most candidates are now experiencing some minor difficulties that is preventing them from successfully creating their jamb profile. Some of the minor issues (sms failure) candidates are facing might be due to several factors which i will take time to explain today. Your sim cannot send message. you need airtime to perform any transaction via your Sim most of our telecommunication providers charges from 4 naira per SMS to even 8 naira depending on the destination, content and length of the message you are sending. 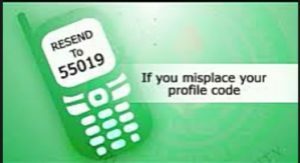 for you to send any SMS or make a call you must register your Sim, this is the new directive given to all operators in the country, they uses this means to check crimes, terrorism and other social vises. to successfully create your Jamb profile via mobile you need a registered Sim card. are you making use of faulty Sim? there are some sim card naturally they can’t send SMS no matter the balance of your phone. ensure you make use of a sim that had been tested and confirmed to have sent SMS. I will advise you to make use of mtn if other network providers fails you. mtn has a reputation of quick SMS delivery because if their strong network coverage.